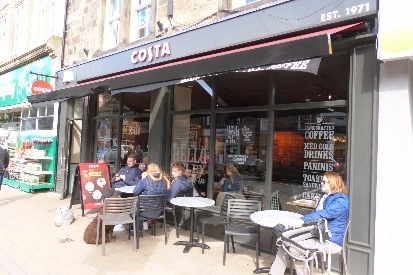 Whether you’re a coffee connoisseur or a tea-totaller, you’re bound to find somewhere to relax in one of Otley’s many cafés. 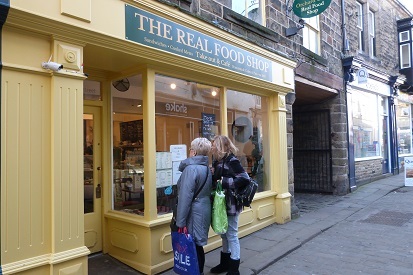 With more than 30 to choose from in the town you can get an early-morning caffeine boost, a lazy cuppa and a cake with your pals at 11am, a lunchtime sandwich, or a delicious afternoon tea. 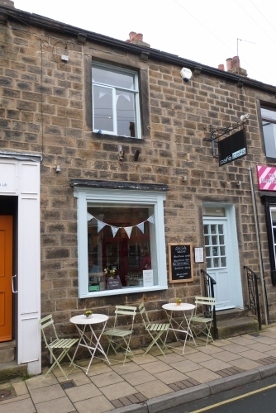 Now in its new home in Orchardgate with lots of seating, the traditional authentic Roman pizza slices and hot table to eat in or take away, thoroughly deserved winner of Otley’s best new business award in 2015. 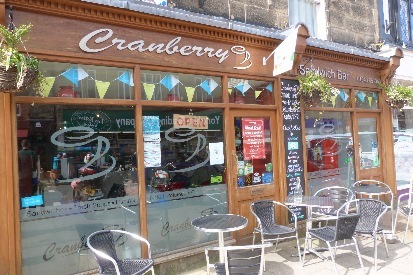 A wonderful addition to Otley’s food scene. Now open earlier in the morning for that essential shot of coffee. 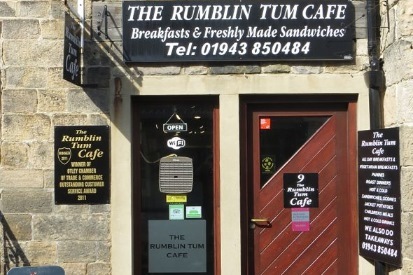 Located just outside the town centre opposite Sainsbury’s exit on Gay Lane, this speciality coffee shop serves cakes and sandwiches as well as offering both printing courses in letterpress and woodcut and having great rates for own hand-crafted cards, invites and posters. Bloomfield Square is also cycle friendly… There are bike racks outside and a selection of locks inside if you forgot to bring one with you. 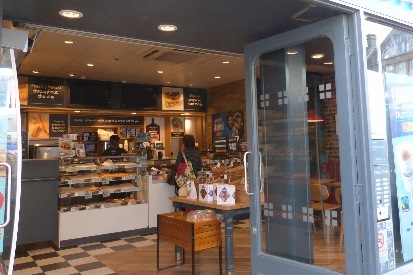 The coffee and cakes provide excellent sustenance for riders, and Chevin Cycles is just around the corner. A florist with a difference. 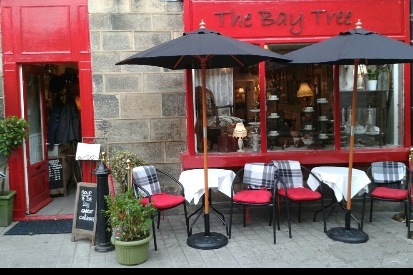 Designer Floristry, Speciality Espresso and delicious Yorkshire food. 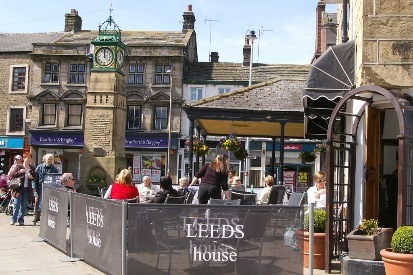 Home of the Otley Sandwich and all good things local. 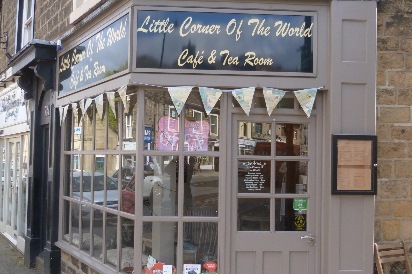 Located half way up East Chevin Road, the Cheerful Chilli is proud of its vegetarian menu of wholesome and generous dishes from all over the world. All food is freshly cooked and we are sure will get your taste buds going. 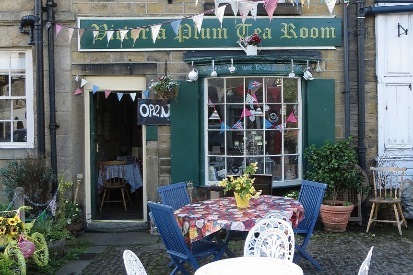 The tea rooms are a great place for refreshment after a walk on the Chevin at the weekend, and the restaurant is in an idyllic location. Please book for the restaurant. Once the home of Thomas Chippendale. Meals served all day from Breakfast to High Tea. A charming farmhouse cafe in a stunning North Yorkshire setting, the Cockpit Café is just outside Otley at Weston on the way to Askwith (a setting in T.V.’s Heartbeat). 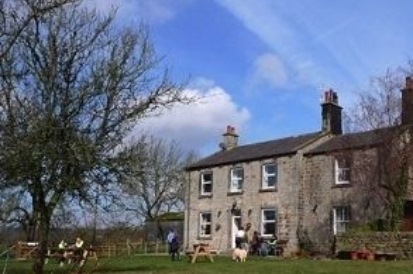 The café also provides a wonderful stop-off for walkers and cyclists and there are often chickens running loose in the large gardens. 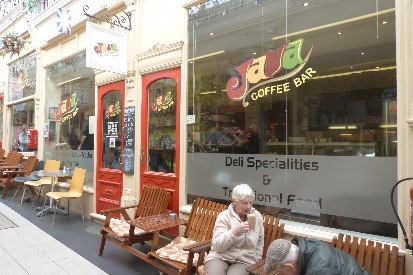 Sandwich and coffee shop on the main shopping street. 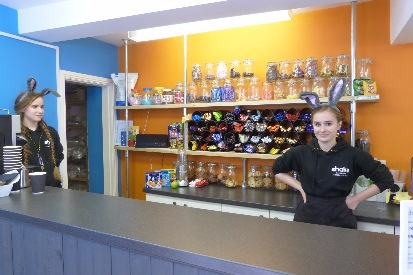 Coffee and Cakes served in this shop run by the Donkey Sanctuary which also sells new and preloved articles. 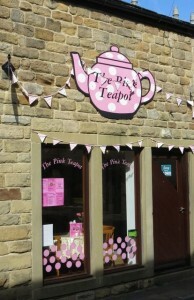 Tea Rooms, providing delicious food and high quality drinks in a relaxing and friendly atmosphere. We are also child friendly and attract lots of families. Café in the shop of the famous sandwich and pie chain. 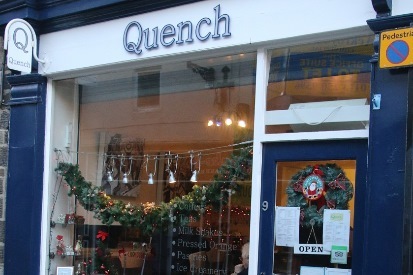 A great new bar in Otley specialising in great beer, wine, spirits and coffee and open all day (and night). 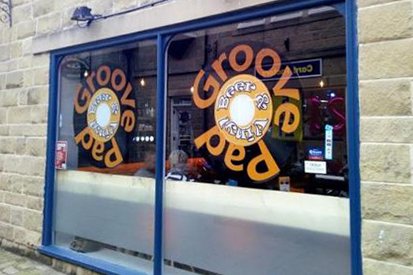 As its name suggests, Groove Bar specialises in vinyl with a great selection of albums to listen to in the bar or buy. Even bring your own favourites to listen whilst you enjoy a drink. 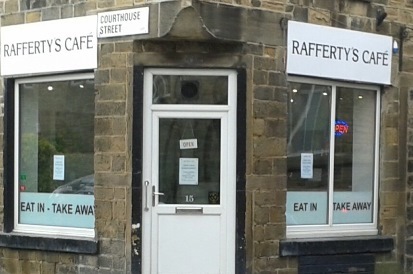 This Italian café/restaurant in Otley, serves real Roman cuisine with a chef from the Eternal City. 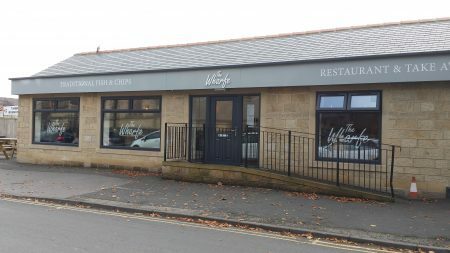 Serving breakfasts, lunches and dinners from a changing menu which reflects seasonal produce, il Vicoletto adds authenticity to Otley’s restaurant scene. The current menu includes highly recommended Uova Crocante (poached egg with Cannellini and Spinach Hummus and fresh tomato) for breakfast, as well as croissants and coffee, Paninis for lunch, and dinner includes Fiori di Zucca Fritti (fried Courgette flower) stuffed with Prosciutto and Mozzarella and Lamb Porchetta, as well as the traditional favourites such as Lasagne and Spaghetti Bolognese. Look out for the daily specials too. 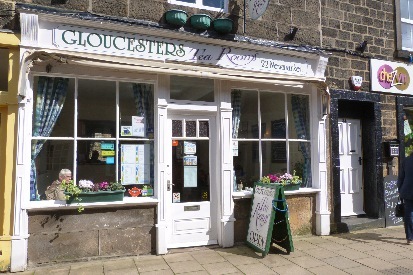 dine from our range of freshly prepared & locally sourced menu. An ideal setting to sit back & relax. Lovely little café on Boroughgate with a travel theme….Note that it stays open until 5:30 on weekdays and that luscious afternoon teas are available to order. 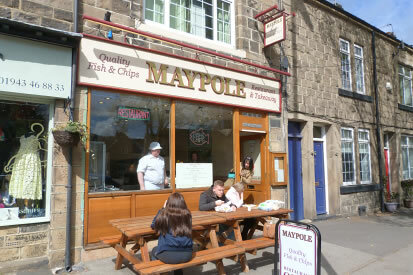 We are a family run business, proud to be supplying the best fish and chips in Otley, West Yorkshire with a superb reputation. Our customers come from far and wide to experience our famous, tasty fish and chips. Take away and cafe. 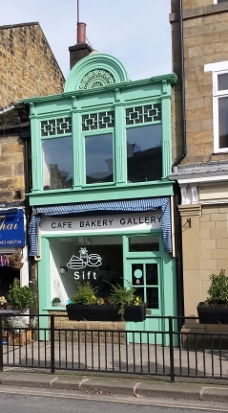 Brightly renamed and refurbished café in Manor Square serving all the favourite light dishes, snacks and drinks and opening soon on Thursday to Saturday evenings for Bistro meals, English food with a Mediterranean twist. 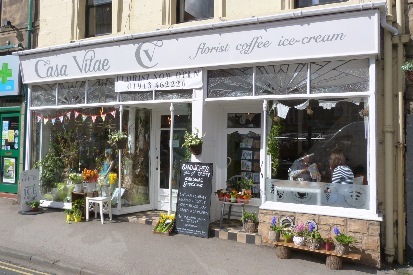 Wonderfully decorated and also selling works of art, the newly renamed Nostalgia offers home made cake, soup, sandwiches and delicious afternoon teas using fine china. 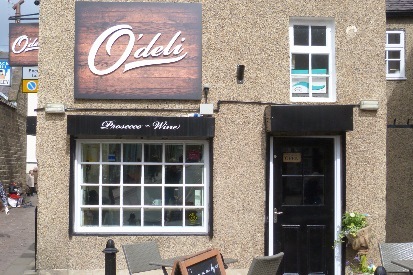 O’Deli is a rustic Deli and Prosecco bar. Offering Fine Wines and Prosecco, plus guest Craft Beers. Jams, Pasta, Oils and Balsamic. Gluten and Dairy free products. We’re Salami &Co. a dog friendly coffee house where human and hound can sit back, relax and watch the world go by together. As a husband and wife team we’ll be serving you a selection of freshly brewed coffees, homemade cakes and brunch inspired dishes. And with Salami and Bagel (our daschunds) around we couldn’t forget your four legged friends, who can choose from a range of handmade pupcakes and biscuit bones.So, whether you’re a dog owner or not, come down and experience Salami & Co. for yourself. Look at the extended opening hours to at least 6pm on weekdays, and open from 8am every day. 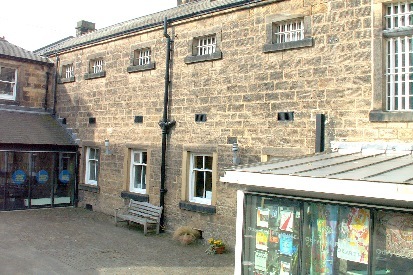 Otley’s own Arts and resource centre for everyone. The range of activities offered are second to none. Look at the website if you don’t believe us!!!!! 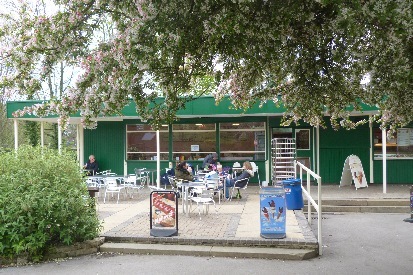 Café and Ice cream booth next to the playground in Wharfemeadows Park, now open 7 days a week, selling anything from breakfast through to dinner with tea, coffee, cold drinks cakes and sandwiches in between. Perfect after walking through the park or while watching the kids play in the playgrounds.